We have described the Adélie model in an upcoming paper - keep your eye to this space. Aguirre, C. A. and J. M. Acero, 1995. Distribution and abundance of birds in the Errera Channel, Antarctic Peninsula, during the 1992/93 breeding season. Marine Ornithology 23:129-134. Aguirre, C. A., 1995. Distribution and abundance of birds at Potter Peninsula, 25 de Mayo (King George) Island, South Shetland Islands, Antarctica. Marine Ornithology 23:23-31. Ainley, D. G., R. C. Wood, and W. J. L. Sladen, 1978. Bird life at Cape Crozier, Ross Island. The Wilson Bulletin 90:492-510. Araya, B.,1965. Notas preliminares sobre ornitologia de la Antartica chilena. Revista de Biología Marina y Oceanografía 12:161-174. Bannasch, R., and R. Odening, 1981. Zoologische untersuchungen im gebiet der sowjetischen Antarktisstation Bellingshausen. Geodätische und Geophysikalische Veröffentlichungen 8:3-20. Barbraud, C., K. C. Delord, T. Micol, and P. Jouventin, 1999. First census of breeding seabirds between Cap Bienvenue (Terre Adélie) and Moyes Islands (King George V Land), Antarctica: New records for Antarctic seabird populations. Polar Biology 21:146-150. Bassett, J. A., E. J. Woehler, P. H. Ensor, K. R. Kerry, and G. W. Johnstone, 1990. Adélie penguins and Antarctic petrels at Mount Biscoe, Western Enderby Land, Antarctica. Emu 90:58. Bó, M.S., and S. Copello, 2001. Distribution and abundance of breeding birds at Deception Island, South Shetland Islands, Antarctica, February to April 2000. Marine Ornithology 29:39-42. Borowicz, A., P. McDowall, C. Youngflesh, T. Sayre-McCord, G. Clucas, R. Herman, S. Forrest, M. Rider, M. Schwaller, T. Hart, S. Jenouvrier, M. Polito, H. Singh, and H. J. Lynch, 2018. Multi-modal survey of Adélie penguin mega-colonies reveals the Danger Islands as a seabird hotspot. Scientific Reports 8:3926. Carlini, A. R., N. R. Coria, M. M. Santos, and S. M. Bujan, 2005. The effect of Chinstrap penguins on the breeding performance of Adélie penguins. Folia Zoologica 54:147-148. Carlini, A. R., N. R. Coria, M. M. Santos, J. Negrete, M. A. Juáres, and G. A. Daneri, 2009. Responses of Pygoscelis adeliae and P. papua populations to environmental changes at Isla 25 de Mayo (King George Island). Polar Biology 32:1427-1433. Casanovas, P., R. Naveen, S. Forrest, J. Poncet, and H. J. Lynch, 2015. A comprehensive coastal seabird survey maps out the front lines of ecological change on the western Antarctic Peninsula. Polar Biology 38:927-940. Che-Castaldo, C., S. Jenouvrier, C. Youngflesh, K. T. Shoemaker, G. Humphries, P. McDowall, L. Landrum, M. M. Holland, Y. Li, R. Ji, and H. J. Lynch, 2017. Pan-Antarctic analysis aggregating spatial estimates of Adélie penguin abundance reveals robust dynamics despite stochastic noise. Nature Communications 8:832. Clarke, J., L. Emmerson, A. Townsend, and K. R. Kerry 2003. Demographic characteristics of the Adélie penguin population on Béchervaise Island after 12 years of study. CCAMLR Science 10: 53-74. Convey, P., A. Morton, and J. Poncet, 1999. Survey of marine birds and mammals of the South Sandwich Islands. Polar Record 35:107-124. Coria, N. R., H. Spairani, S. Vivequin, and R. Fontana, 1995b. Diet of Adélie penguins Pygoscelis adeliae during the post-hatching period at Esperanza Bay, Antarctica, 1987/88. Polar Biology 15:415-418. Coria, N. R., M. Favero, M. P. Silva, and R. J. Casaux, 1995a. Breeding birds at Duthoit Point, Nelson Island, South Shetland Islands, Antarctica. Marine Ornithology 23:61-64. Coria, N. R., P. G. Blendinger, and D. Montalti, 1996. The breeding birds of Cape Geddes, Laurie Island, South Orkney Islands, Antarctica. Marine Ornithology 24:43-44. Coria, N. R., D. Montalti, E. F. Rombolá, M. M. Santos, M. I. Garcia Betoño, and M. A. Juáres, 2011. Birds at Laurie Island, South Orkney Islands, Antarctica: Breeding species and their distribution. Marine Ornithology 39:207-213. Crawford, R. J. M., P. A. Whittington, L. Upfold, P. G. Ryan, S. L. Petersen, B. M. Dyer, and J. Cooper, 2009. Recent trends in numbers of four species of penguins at the Prince Edward Islands. African Journal of Marine Science 31:419-426. Croxall, J. P., D. M. Rootes, and R. A. Price, 1981. Increases in penguin populations at Signy Island, South Orkney Islands. British Antarctic Survey Bulletin 54:47-56. Dunn, M.J., Jackson, J.A., Adlard, S., Lynnes, A.S., Briggs, D.R., Fox, D., C.M. Waluda. 2016. Population size and decadal trends of three penguin species nesting at Signy island, South Orkney islands. PLoS ONE 11(10): e0164025. Dunn, M.J., J. Forcada, J.A. Jackson, C.M. Waluda, C. Nichol, and P.N. Trathan. 2018. A long-term study of gentoo penguin (Pygoscelis papua) population trends at a major Antarctic tourist site, Goudier Island, Port Lockroy. Biodiversity and Conservation doi: 10.1007/s10531-018-1635-6. Eklund, C. R., 1945. Condensed ornithology report, East Base, Palmer Land. Proceedings of the American Philosophical Society 39:299-304. Esponda, C. G., N. R. Coria, and D. Montalti, 2000. Breeding birds at Halfmoon Island, South Shetland Islands, Antarctica, 1995/96. Marine Ornithology 28:59-62. Favero, M., N. R. Coria, and M. P. Beron, 2000. The status of breeding birds at Cierva Point and surroundings, Danco Coast, Antarctic Peninsula. Polish Polar Research 21:181-187. Fretwell, P. T., M. A. LaRue, P. Morin, G. L. Kooyman, B. Wienecke, N. Ratcliffe, A. J. Fox, A. H. Fleming, C. Porter, and P. N. Trathan, 2012. An emperor penguin population estimate: The first global, synoptic survey of a species from space. PLoS ONE 7:e33751. González-Zevallos, D., M. M. Santos, E. F. Rombolá, M. A. Juáres, and N. R. Coria, 2013. Abundance and breeding distribution of seabirds in the northern part of the Danco Coast, Antarctic Peninsula. Polar Research 32:1-7. Hahn, S., H.-U. Peter, P. Quillfeldt, and K. Reinhardt, 1998. The birds of the Potter Peninsula, King George Island, South Shetland Islands, Antarctica, 1965-1998. Marine Ornithology 26:1-6. Heimark, G. M. and R. J. Heimark, 1988. Observations of birds and marine mammals at Palmer Station November 1985 to November 1986. Antarctic Journal of the United States 23:14-17. Hoshiai, T., O. Matsuda, and Y. Naito, 1981. Fluctuation of Adélie penguin populations in two small rookeries of the Syowa Station area, Antarctica. Antarctic Record 73:141-146. Hoshiai, T., T. Sweda, and A. Tanimura, 1984. Adélie penguin census in the 1981-82 and 1982-1983 breeding seasons near Syowa Station, Antarctica [Special Issue]. Memoirs of National Institute of Polar Research 32:117-121. Ishikawa, S., O. Matsuda, and K. Kawagushi, 1988. Adélie penguin census in the 1984-85 breeding season near Syowa Station, Antarctica with reference to the banding effect on the population. Antarctic Record 32:302-307. Jabłonski, B., 1980. Distribution and numbers of birds and pinnipedes on Penguin Island (South Shetland Islands in January 1979*). Polish Polar Research 1:109-116. Jabłonski, B., 1984b. Distribution, number and breeding preferences of penguins in the region of the Admiralty Bay (King George Islands, South Shetland Islands in the season 1979/80*). Polish Polar Research 5:5-16. Jabłonski, B., 1984a. Distribution and numbers of penguins in the region of King George Island (South Shetland Islands in the breeding season 1980/1981*). Polish Polar Research 5:17-30. Jabłonski, B., 1986. Distribution, abundance and biomass of a summer community of birds in the region of the Admiralty Bay (King George Island, South Shetland Islands, Antarctica) in 1978/1979. Polish Polar Research 7:217-260. Jehl, J. R. and F. S. Todd, 1985. A census of the Adélie penguin colony on Paulet Island, Weddell Sea. Antarctic Journal of the United States 20:171-172. Juáres, M. A., M. M. Santos, J. Negrete, J. A. Mennucci, P. J. Perchivale, R. J. Casaux, and N. R. Coria, 2015. 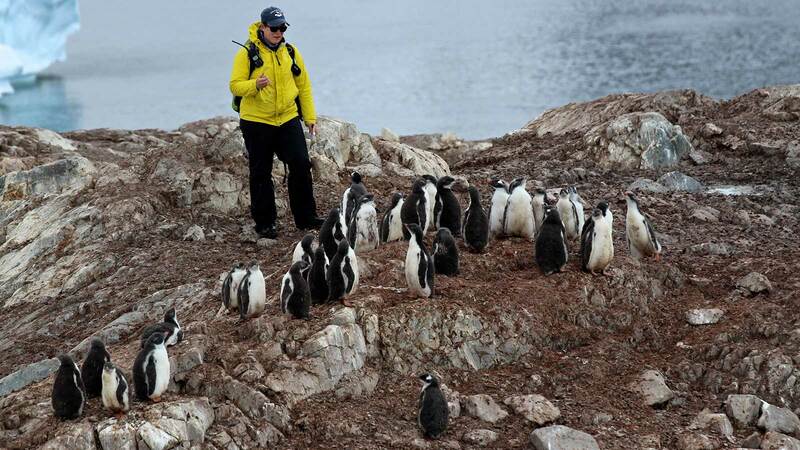 Adélie penguin population changes at Stranger Point: 19 years of monitoring. Antarctic Science 27:455-461. Kato, A. and H. Ichikawa, 1999. Breeding status of Adélie and emperor penguins in the Mt. Riiser-Larsen area, Amundsen Bay. Polar Bioscience 12:36-39. Kato, A., and Y. Ropert-Coudert 2006. Rapid increase in Adélie penguin populations in the Lützow-Holm Bay area since the mid 1990s. Polar Bioscience 20: 55-62. Kooyman, G.L. and P.J. Ponganis, 2016. Rise and fall of Ross Sea emperor penguin colony populations: 2000 to 2012. Antarctic Science 29:201-208. Korczak-Abshire, M., M. Węgrzyn, P. J. Angiel, and M. Lisowska, 2013. Pygoscelid penguins breeding distribution and population trends at Lions Rump rookery, King George Island. Polish Polar Research 34:87-99. Korczak-Abshire, M., A. Zmarz, M. Rodzewicz, M. Kycko, I. Karsznia, and K. Chwedorzewska, 2018. Study of fauna population changes on Penguin Island and Turret Point Oasis (King George Island, Antarctica) using an unmanned aerial vehicle. Polar Biology doi:10.1007/s00300-018-2379-1. Poncet, S. and J. Poncet, 1987. Censuses of penguin populations of the Antarctic Peninsula 1983-1987. British Antarctic Survey Bulletin 77:109- 129. LaRue, M. A., D. G. Ainley, M. Swanson, K. M. Dugger, P. O. Lyver, K. J. Barton, and G. Ballard, 2013. Climate change winners: receding ice fields facilitate colony expansion and altered dynamics in an Adélie penguin metapopulation. PLoS ONE 8:e60568. Law, P., 1962. New ANARE landings in Australian Antarctic Territory 1960. Geographical Journal 128:174-183. Lesinski, G., 1993. Monitoring of birds and pinnipedians on King George Island (South Shetland Islands) in 1989/1990. Polish Polar Research 14:75-89. Low, M., L. Meyer, and C. Southwell, 2007. Number and distribution of Adélie penguin (Pygoscelis adeliae) breeding sites in the Robinson Group of islands, Mac.Robertson Land coast, east Antarctica. Polar Record 43:225-229. Lynch, H. J., W. F. Fagan, and R. Naveen, 2010. Population trends and reproductive success at a frequently visited penguin colony on the western Antarctic Peninsula. Polar Biology 33:493-503. Lynch, H. J., R. Naveen, and P. Casanovas, 2013. Antarctic Site Inventory breeding bird survey data, 1994-2013: Ecological Archives E094-243. Ecology 94:2653-2653. Lynch, H. J. and M. A. LaRue, 2014. First global census of the Adélie Penguin. The Auk 131:457-466. Lynch, H. J. and M. R. Schwaller, 2014. Mapping the abundance and distribution of Adélie penguins using Landsat-7: First steps towards an integrated multi-sensor pipeline for tracking populations at the continental scale. PLoS ONE 9:e113301. Lynch, H. J., R. White, R. Naveen, A. Black, M. S. Meixler, and W. F. Fagan, 2016. In stark contrast to widespread declines along the Scotia Arc, a survey of the South Sandwich Islands finds a robust seabird community. Polar Biology 9:1615-1625. Lyver, P. O., M. Barron, K. J. Barton, D. G. Ainley, A. Pollard, S. Gordon, S. McNeill, G. Ballard, and P. R. Wilson, 2014. Trends in the breeding population of Adélie penguins in the Ross Sea, 1981-2012: A coincidence of climate and resource extraction effects. PLoS ONE 9:e91188. Macdonald, J. A., K. J. Barton, and P. Metcalf 2002. Chinstrap penguins (Pygoscelis antarctica) nesting on Sabrina Islet, Balleny Islands, Antarctica. Micol, T. and P. Jouventin, 2001. Long-term population trends in seven Antarctic seabirds at Pointe Géologie (Terre Adélie) Human impact compared with environmental change. Polar Biology 24:175-185. Montalti, D. and G. E. Soave, 2002. The birds of Seymour Island, Antarctica. Ornitologia Neotropical 13:267-271. Myrcha, A., A. Tatur, and R. d. Valle, 1987. Numbers of Adélie penguins breeding at Hope Bay and Seymour Island rookeries (West Antarctica) in 1985. Polish Polar Research 8:411-422. Naveen, R., H. J. Lynch, S. Forrest, T. Mueller, and M. Polito, 2012. First direct, site-wide penguin survey at Deception Island, Antarctica, suggests significant declines in breeding chinstrap penguins. Polar Biology 35:1879-1888. Parmalee, D. F. and C. C. Rimmer, 1985. Ornithological observations at Brabant Island, Antarctica. British Antarctic Survey Bulletin 67:7-12. Parmalee, D. F. and C. C. Rimmer, 1987. Revised penguin numbers and distributions for Anvers Island, Antarctica. British Antarctic Survey Bulletin 76:65-73. Peter, H-U., R. Bannasch, A. Bick, A. Gebauer, M. Kaiser, R. Mönke, and D. Zippel, 1989. Bestand und Reproduktion ausgewählter antarktischer Vögel und Robben im Siidwestteil von King George Island, South Shetland Islands. Wissenschaftliche Zeitschrift: Naturwissenschaftliche Reihe 38:645-657. Petry, M.V., F.C.L. Valls, E.S. Petersen, J.V.G. Finger, and L. Krüger. 2018. Population trends of seabirds at Stinker Point, Elephant Island, Maritime Antarctica. Antarctic Science doi: 10.1017/S0954102018000135. Pfeiffer, S. and H.-U. Peter, 2004. Ecological studies toward the management of an Antarctic tourist landing site (Penguin Island, South Shetland Islands). Polar Record 40:345-353. Pistorius, P. A., N. Huin, and S. Crofts, 2010. Population change and resilience in Gentoo penguins (Pygoscelis papua) at the Falkland Islands. Marine Ornithology 38:49-53. Poncet, S. and J. Poncet, 1985. A survey of penguin breeding populations at the South Orkey Islands. British Antarctic Survey Bulletin 68:71-81. Prince, P. A. and M. R. Payne, 1979. Current status of birds at South Georgia. British Antarctic Survey Bulletin 48:103-118. Pylypenko, D. V., 2013. Colonial bird species nesting in the UAS AREA Vernadsky (2010-2011). Ukrainian Antarkticka Journal 12:206-216. Quintana, R. D., V. Cirelli, and J. L. Orgeira, 2000. Abundance and spatial distribution of bird populations at Cierva Point, Antarctic Peninsula. Marine Ornithology 28:21-27. Quintana, R. D. and V. Cirelli, 2000. Breeding dynamics of a Gentoo penguin Pygoscelis papua population at Cierva Point, Antarctic Peninsula. Marine Ornithology 28:29-35. Robertson, C. J. R., J. R. Gilbert, and A. W. Erickson, 1980. Birds and seals of the Balleny Islands, Antarctica. National Museum of New Zealand Records 1:271-279. Robertson, G., 1991. Kidson Island: A breeding site for Antarctic fulmars. Polar Record 27:61-61. Rootes, D. M., 1988. The status of birds at Signy Island, South Orkney Islands. British Antarctic Survey Bulletin 80:87-119. Sander, M., T. C. Balbão, E. S. Costa, C. R. Dos Santos, and M. V. Petry, 2007. Decline of the breeding population of Pygoscelis Antarctica and Pygoscelis adeliae on Penguin Island, South Shetland, Antarctica. Polar Biology 30:651-654. Santos, M. Mercedes, J.T. Hinke, N.R. Coria, B. Fusaro, A. Silvestro, and M. A. Juáres, 2018. Study of fauna population changes on Penguin Island and Turret Point Oasis (King George Island, Antarctica) using an unmanned aerial vehicle. Polar Biology doi:10.1007/s00300-018-2379-1. Shuford, W. D. and B. Spear, 1988. Surveys of breeding Chinstrap penguins in the South Shetland Island, Antarctica. British Antarctic Survey Bulletin 81:19-30. Sierakowski, K., 1991. Birds and mammals in the region of SSSI No. 8 in the season 1988/89 (South Shetlands, King George Island, Admiralty Bay). Polish Polar Research 12:25-54. Silva, M. P., M. Favero, R. J. Casaux, and A. Baroni, 1998. The status of breeding birds at Harmony Point, Nelson Island, Antarctica in summer 1995/96. Marine Ornithology 26:75-78. Southwell, C., J. McKinlay, M. Low, D. Wilson, K. Newbery, J. L. Lieser, and L. Emmerson, 2013. New methods and technologies for regional-scale abundance estimation of land-breeding marine animals: Application to Adélie penguin populations in East Antarctica. Polar Biology 36:843- 856. Southwell, C. and L. Emmerson, 2013. First population counts at newly discovered Adélie penguin Pygoscelis adeliae breeding sites along the Wilhelm II, Queen Mary and Wilkes Land coastlines, East Antarctica. Marine Ornithology 41:87-89. Starck, W., 1980. The avifauna of Haswell Island (East Antarctica) in the summer of 1978/1979. Polish Polar Research 1:183-196. Taylor, R. H. and P. R. Wilson, 1990. Recent increase and southern expansion of Adélie penguin populations in the Ross Sea, Antarctica, related to climatic warming. New Zealand Journal of Ecology 14:25-29. Taylor, R. H., P. R. Wilson, and B. W. Thomas, 1990. Status and trends of Adélie penguin populations in the Ross Sea region. Polar Record 26:293- 304. Tidemann, S.C., A. Walleyn, and J. F. Ryan, 2015. Observations of penguins and other pelagic bird species in the Balleny Islands, Antarctica. Australian Field Ornithology 32:169. Trathan, P. N., P. T. Fretwell, and B. Stonehouse, 2011. First recorded loss of an emperor penguin colony in the recent period of Antarctic regional warming: Implications for other colonies. PLoS ONE 6:e14738. Trivelpiece, W. Z., S. G. Trivelpiece, and N. J. Volkman, 1987. Ecological segregation of Adélie, Gentoo, and Chinstrap penguins at King George Island, Antarctica. Ecology 68:351-361. Wilson, D., R. Pike, D. Southwell, and C. Southwell, 2009. A systematic survey of breeding Adélie penguins (Pygoscelis adeliae) along the Mawson and Kemp Land coasts, East Antarctica: New colonies and population counts. Antarctic Science 21:591-592. Woehler, E. J., D. J. Slip, L. M. Robertson, P. J. Fullagar, and H. R. Burton, 1991. The distribution, abundance and status of Adélie penguins Pygoscelis adeliae at the Windmill Islands, Wilkes Land, Antarctica. Marine Ornithology 19:1-18. Woehler, E. J. and J. P. Croxall, 1997. The status and trends of Antarctic and sub-Antarctic seabirds. Marine Ornithology 25:43-66. Ainley, D. G., 2002. 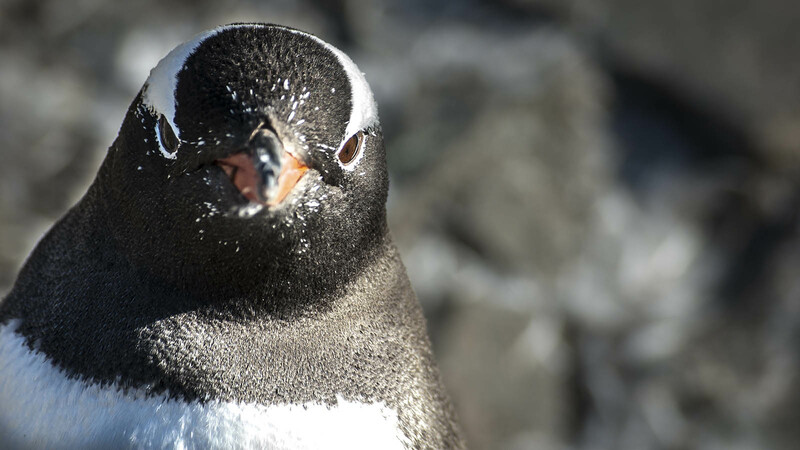 The Adélie penguin: Bellwether of climate change. Columbia University Press, New York, United States. Croxall, J. P. and E. D. Kirkwood, 1979. The distribution of penguins on the Antarctic Penninulsa and islands of the Scotia Sea. British Antarctic Survey, Cambridge, United Kingdom. Ensor, P. H. and J. A. Bassett, 1987. The breeding status of Adélie penguins and other birds on the coast of George V Land, Antarctica, volume 50 of ANARE Research Notes. Antarctic Division, Department of Science and Technology, Kingston, Australia. Horne, R. S. C., 1983. The distribution of penguin breeding colonies on the Australian Antarctic Territory, Heard Island, the McDonald Islands, and Macquarie Island, volume 9 of ANARE Research Notes. Antarctic Division, Department of Science and Technology, Kingston, Australia. Lazo, I., H. Núñez, and J. V. Yañez, 1992. áreas libres de hielo y su relación con ensambles de aves nidificantes antárticas, isla Livingston, Antártica. In Serie Científica INACH, volume 42, pages 69-75. Instituto Antártico Chileno, Santiago, Chile. Müller-Schwarze, C. and D. Müller-Schwarze, 1975. A survey of twentyfour rookeries of pygoscelid penguins in the Antarctic Peninsula region. In B. Stonehouse, editor, The biology of penguins, pages 309-320. University Park Press, Baltimore, United States. Myrcha, A., 1993. Birds. In S. Rakusa-Suszczewski, editor, The maritime Antarctic coastal ecosystem of Admiralty Bay, pages 129-141. Department of Antarctic Biology, Polish Academy of Sciences, Warsaw, Poland. Peter, H.-U., M. Kaiser, and A. Gebauer, 1988. Untersuchungen an vögeln und robben auf King George Island: (South Shetland Islands, Antarktis), volume 14 of Geodätische und Geophysikalische Veröffentlichungen: 1. Nationalkomitee für Geodäsie und Geophysik bei der Akad. der Wiss. der DDR, Berlin, Germany. Schlatter, R. P. and C. G. Orrego, 1975. Intento de colonizacion por Pygoscelis Antarctica, en peninsula copper mine, Isla Robert, Shetland del sur. In Boletin Difus INACH, volume 8, pages 23-25. Instituto Antártico Chileno, Santiago, Chile. Trathan, P. N., F. H. J. Daunt, and E. J. Murphy, editors, 1996. South Georgia: An ecological atlas. British Antarctic Survey, Cambridge, United Kingdom. Trivelpiece, W. Z., S. G. Trivelpiece, G. R. Geupal, J. Kjelmyr, and N. J. Volkman, 1990. Adélie and chinstrap penguins: Their potential as monitors of the southern ocean marine ecosystem. In K. R. Kerry and G. Hempel, editors, Antarctic ecosystems. Ecologic change and conservation, pages 191-202. Springer-Verlag, Berlin, Germany. Whitehead, M. D. and G. W. Johnstone, 1990. The distribution and estimated abundance of Adélie penguins breeding in Prydz Bay, Antarctica. In M. Fukuchi, Y. Ino, Y. Naito, Y. Ohyama, and M. Takahashi, editors, Proceedings of the NIPR Symposium on Polar Biology, volume 3, pages 91-98, Tokyo, Japan. National Institute of Polar Research. Wilson, G., 1983. Distribution and abundance of Antarctic and sub- Antarctic penguins: A synthesis of current knowledge, volume 4 of BIOMASS Scientific Series. Scientific Committee on Antarctic Research (SCAR), Cambridge, United Kingdom. Woehler, E. J., 1993. The distribution and abundance of Antarctic and Subantarctic penguins. Scientific Committee on Antarctic Research (SCAR), Cambridge, United Kingdom. Woehler, E. J., 2006. Status and conservation of the seabirds of Heard Island. In K. Green and E. J. Woehler, editors, Heard Island: Southern ocean sentinel, chapter 9, pages 128-165. Surrey Beatty & Sons, Chipping Norton, Australia. Antarctic Ecosystem Research Group, 1998. AMLR 1997/98 Field Season Report: Objectives, accomplishments and tentative conclusions. Technical report, National Oceanic & Atmospheric Administration, La Jolla, United States. Antarctic Ecosystem Research Group, 1999. AMLR 1998/99 Field Season Report: Objectives, accomplishments and tentative conclusions. Technical report, National Oceanic & Atmospheric Administration, La Jolla, United States. Antarctic Ecosystem Research Group, 2001a. AMLR 1999/2000 Field Season Report: Objectives, accomplishments and tentative conclusions. Technical report, National Oceanic & Atmospheric Administration, La Jolla, United States. Antarctic Ecosystem Research Group, 2001b. AMLR 2000/2001 Field Season Report: Objectives, accomplishments and tentative conclusions. Technical report, National Oceanic & Atmospheric Administration, La Jolla, United States. Antarctic Ecosystem Research Group, 2003a. AMLR 2001/2002 Field Season Report: Objectives, accomplishments and tentative conclusions. Technical report, National Oceanic & Atmospheric Administration, La Jolla, United States. Antarctic Ecosystem Research Group, 2003b. AMLR 2002/2003 Field Season Report: Objectives, accomplishments and tentative conclusions. Technical report, National Oceanic & Atmospheric Administration, La Jolla, United States. Antarctic Ecosystem Research Group, 2004. AMLR 2003/2004 Field Season Report: Objectives, accomplishments and tentative conclusions. Technical report, National Oceanic & Atmospheric Administration, La Jolla, United States. Antarctic Ecosystem Research Group, 2005. AMLR 2004/2005 Field Season Report: Objectives, accomplishments and tentative conclusions. Technical report, National Oceanic & Atmospheric Administration, La Jolla, United States. Antarctic Ecosystem Research Group, 2006. AMLR 2005/2006 Field Season Report: Objectives, accomplishments and tentative conclusions. Technical report, National Oceanic & Atmospheric Administration, La Jolla, United States. Antarctic Ecosystem Research Group, 2007. AMLR 2006/2007 Field Season Report: Objectives, accomplishments and tentative conclusions. Technical report, National Oceanic & Atmospheric Administration, La Jolla, United States. Antarctic Ecosystem Research Group, 2008. AMLR 2007/2008 Field Season Report: Objectives, accomplishments and tentative conclusions. Technical report, National Oceanic & Atmospheric Administration, La Jolla, United States. Antarctic Ecosystem Research Group, 2009. AMLR 2008/2009 Field Season Report: Objectives, accomplishments and tentative conclusions. Technical report, National Oceanic & Atmospheric Administration, La Jolla, United States. Antarctic Ecosystem Research Group, 2011. AMLR 2009/2010 Field Season Report: Objectives, accomplishments and tentative conclusions. Technical report, National Oceanic & Atmospheric Administration, La Jolla, United States. Antarctic Ecosystem Research Group, 2014c. AMLR 2010-2011 Field Season Report. Technical report, National Oceanic & Atmospheric Administration, La Jolla, United States. Antarctic Ecosystem Research Group, 2013. 25 November 2013 weekly field reports: Copacabana, King George Island. Technical Report 1, National Oceanic & Atmospheric Administration, La Jolla, United States. Antarctic Ecosystem Research Group, 2014b. 20 January 2014 weekly field reports: Copacabana, King George Island. Technical Report 3, National Oceanic & Atmospheric Administration, La Jolla, United States. Antarctic Ecosystem Research Group, 2014a. 13 January 2014 weekly field reports: Copacabana, King George Island. Technical Report 2, National Oceanic & Atmospheric Administration, La Jolla, United States. Harris, C. M., R. Carr, K. Lorenz, and S. Jones, 2011. Important bird areas in Antarctica: Antarctic Peninsula, South Shetland Islands, South Orkney Islands. Technical report, BirdLife International; Polar Regions Unit of the UK Foreign & Commonwealth Office, Cambridge, United Kingdom. (ATCM) ANTARCTIC TREATY CONSULTATIVE MEETING, 2002. Management plan for Antarctic Specially Protected Area No. 117: Avian Island, Marguerite Bay, Antarctic Peninsula. Measure 1, Final Report of the Thirty-second Antarctic Treaty Consultative Meeting, Warsaw,Poland. (ATCM) ANTARCTIC TREATY CONSULTATIVE MEETING, 2005a. Deception Island management package. Measure 3, Final Report of the Twenty-eighth Antarctic Treaty Consultative Meeting, Stockholm, Sweden. (ATCM) ANTARCTIC TREATY CONSULTATIVE MEETING, 2005b. Management plan for Antarctic Specially Protected Area No. 132: Potter Peninsula, King George Island (Isla 25 De Mayo), South Shetland Islands. Measure 2, Final Report of the Twenty-eighth Antarctic Treaty Consultative Meeting, Stockholm, Sweden. (ATCM) ANTARCTIC TREATY CONSULTATIVE MEETING, 2005c. Management plan for Antarctic Specially Protected Area No. 133: Harmony Point, Nelson Island, South Shetland Islands. Measure 2, Final Report of the Twenty-eighth Antarctic Treaty Consultative Meeting, Stockholm, Sweden. (ATCM) ANTARCTIC TREATY CONSULTATIVE MEETING, 2005d. Management plan for Antarctic Specially Protected Area No. 149: Cape Shirreff And San Telmo Island, Livingston Island, South Shetland Islands. Measure 2, Final Report of the Twenty-eighth Antarctic Treaty Consultative Meeting, Stockholm, Sweden. (ATCM) ANTARCTIC TREATY CONSULTATIVE MEETING, 2006. Management plan for Antarctic Specially Managed Area No. 1 Admirality Bay. Measure 2, Twenty-ninth Antarctic Treaty Consultative Meeting, Edinburgh, United Kingdom. (ATCM) ANTARCTIC TREATY CONSULTATIVE MEETING, 2008. Designation of Antarctic Specially Managed Area No. 7: Southwest Anvers island and Palmer Basin. Measure 1, Final Report of the Thirty-first Antarctic Treaty Consultative Meeting, Kyiv, Ukraine. (ATCM) ANTARCTIC TREATY CONSULTATIVE MEETING, 2009a. Management plan for Antarctic Specially Protected Area No. 113: Litchfield Island, Arthur Harbor Anvers Island, Palmer Archipelago. Measure 4, Final Report of the Thirty-second Antarctic Treaty Consultative Meeting, Baltimore, United States. (ATCM) ANTARCTIC TREATY CONSULTATIVE MEETING, 2009b. Management plan for Antarctic Specially Protected Area No. 125: Fildes Peninsula, King George Island (25 De Mayo), (Fossil Hill, Holz Stream (Madera Stream), Glacier Dome Bellingshausen (Collins Glacier), Halfthree Point, Suffield Point, Fossil Point, Gradzinski Cove And Skua Cove). Measure 6, Final Report of the Thirty-second Antarctic Treaty Consultative Meeting, Baltimore, United States. (ATCM) ANTARCTIC TREATY CONSULTATIVE MEETING, 2009c. Management plan for Antarctic Specially Protected Area No. 150: Ardley Island, Maxwell Bay, King George Island (25 De Mayo). Measure 9, Final Report of the Thirty-second Antarctic Treaty Consultative Meeting, Baltimore, United States. (ATCM) ANTARCTIC TREATY CONSULTATIVE MEETING, 2009d. Management plan for Antarctic Specially Protected Area No. 152: Western Bransfield Strait. Measure 10, Final Report of the Thirty-second Antarctic Treaty Consultative Meeting, Baltimore, United States. (ATCM) ANTARCTIC TREATY CONSULTATIVE MEETING, 2009e. Management Plan for Antarctic Specially Protected Area No. 153: Eastern Dallmann Bay. Measure 11, Final Report of the Thirty-second Antarctic Treaty Consultative Meeting, Baltimore, United States. (ATCM) ANTARCTIC TREATY CONSULTATIVE MEETING, 2009f. Management plan for Antarctic Specially Protected Area No. 171: Narębski Point, Barton Peninsula, King George Island. Measure 13, Final Report of the Thirty-second Antarctic Treaty Consultative Meeting, Baltimore, United States. (ATCM) ANTARCTIC TREATY CONSULTATIVE MEETING, 2014a. Management plan for Antarctic Specially Protected Area No. 139: Biscoe Point, Anvers Island, Palmer Archipelago. Measure 6, Final Report of the Thirty-seventh Antarctic Treaty Consultative Meeting, Brasilia, Brasil. (ATCM) ANTARCTIC TREATY CONSULTATIVE MEETING, 2014b. Management plan for Antarctic Specially Protected Area No. 171: 4 Narębski Point, Barton Peninsula, King George Island. Measure 11, Final Report of the Thirty-second Antarctic Treaty Consultative Meeting, Brasilia, Brasil. Barbosa, A., and H. J. Lynch, Personal communication between Adres Barbosa and Heather Lynch. personal communication. British Antarctic Survey, British Antarctic Survey. dataset. Burley, M., and A.G.E. Jones, 1972. Joint services expedition to the Elephant Group Islands 1976-1977. monograph. Cardè, J., 2015. 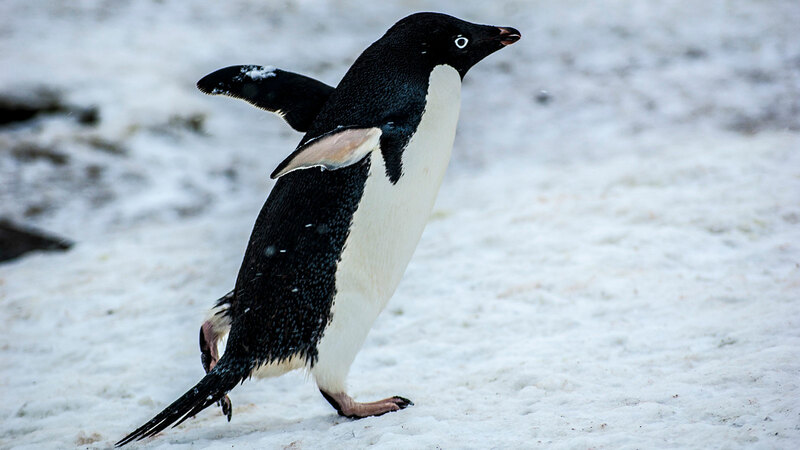 Adélie Penguin (Pygoscelis adeliae) population trends in Cape Bird, Antarctica, 1956-2009: A response to climate change, competitive release and commercial fishing. undergraduate thesis. Borowicz, A., P. McDowall, C. Youngflesh, T. Sayre-McCord, G. Clucas, R. Herman, S. Forrest, M. Rider, M. Schwaller, T. Hart, S. Jenouvrier, M. Polito, H. Singh, and H. J. Lynch, Unpublished data from the Danger Islands Expedition December 2015. Fraser, W. R., b. Adélie penguin breeding success and chronology studies - relative abundance of one and two chick broods, collected at Palmer Station Antarctica research area, 1991 - present. dataset. Fraser, W. R., a. Adélie Penguin breeding success and chronology studies - colony-specific chick production, collected at Palmer Station Antarctica research area, 1991 - present. dataset. Hart, T., a. PenguinWatch. dataset. Lynch, H. J., a. Antarctic Site Inventory. dataset. Lynch, H. J., b. Personal communication between Verdansky Station personnel and Heather Lynch. personal communication. Lyver, P. O., Adélie census data. dataset. Poncet, S., 2007. South Georgia breeding birds surveys. dataset. Moreno, J. and E. J. Woehler, Personal communication between Juan Moreno and Eric Woehler. personal communication. Naveen, R. and H. J. Lynch, Personal communication between Ron Naveen and Heather Lynch. personal communication. Perez, D.T., Personal communication between Lt. Dnailo Tapia Perez and Maureen Lynch. personal communication. Phillips, R. and H. J. Lynch, Personal communication between Richard Phillips and Heather Lynch. personal communication. Prince, P. A. and S. Poncet, 1988. British Antarctic Survey: South Georgia breeding birds survey 1986/87-1987/88. dataset. Trivelpiece, W. Z. and H. J. Lynch, Personal communication between Wayne Trivelpiece and Heather Lynch. personal communication. Woehler, E. J., 2000. Status and trends of Antarctic and Subantarctic penguins. supplement. Woehler, E. J. and N. Cobley, Personal communication between Eric Woehler and Norm Cobbley. personal communication. Zippel, D., 1986. Teilbericht (Ornithologie) über die wissenschaftlichen Ergebnisse während der 30. SAE im Untersuchungsgebiet King George. report.